910mm long x 660mm deep x 740mm wide Rona deep soaking tub. 910mm Length x 810mm Deep x 740mm Wide. 910mm Length x 740mm Deep x 740mm Wide. This unique range of baths, is designed mainly for deep soaking, or perhaps where space is limited. Single seat tubs are 91cm long and from an overall internal depth of 58cm to a generous 81cm depth. Twin seaters are either 137cm long by 81cm deep or 132cm long by 74cm deep. 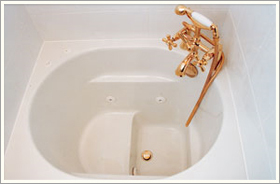 All baths are supplied without panels.